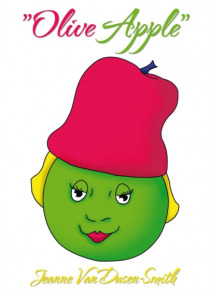 Olive Apple, country club matron and loving wife, discovers that that her husband, Mr. Apple, has rotten core values. He has left her for a younger woman. Her saga is a year-in-the-life, with trouble and strife. But there is laughter and joy along the way as well, with her uppity daughter, her curious grandson, Cartwright, her eccentric friend, Mili and the dog called Frog. Everyone handles hearta… che in their own way. Olive's coping skills include karaoke, Pimm's Cup and gentlemen callers. Will Olive survive the devastating divorce from her bad Apple? Whatever the outcome, this 1930's style screw-ball comedy is a treat.